A pin tumbler lock is one of the most widely used lock designs in the world originating out of ancient Egypt. The original lock design used a series of single pins, that when locked, would prevent movement of a bolt by resting inside the bolt itself. The key was used to raise pins out of the bolt allowing it to retract, making it the first use of a shear line, a major discovery and the basis for all cylinder based locking systems today. Early pin tumbler locks, bolts, and keys were made of wood followed by brass and iron, which were introduced later. Linus Yale Sr. and his son (founders of the Yale lock company), modified the pin tumbler design in the mid-1800’s making it smaller and more reliable. The design of this lock has remained virtually unchanged since, other than auxiliary security features such as security pins, sidebars, side pins, rotation, telescoping, ball bearings and hardened steel rods or discs. Pin tumblers are a series of pin stacks pushed down by a spring. Each stack must be properly raised to allow pins to separate at the shear line. Once all pin stacks are separated, the plug can freely rotate and actuate the locking bolt to lock or unlock the lock. A traditional pin tumbler lock design uses the edge of the blade as the primary bitting area. Minor changes to the positions of pin tumbler components are the basis for the newer pin tumbler lock designs such as dimple and axial/tubular locks. An incorrect key will not align all components correctly and as a result rotation of the plug will be blocked at the shear line. Key pins (bottom pins) – These are the pins that touch the key when it is entered. 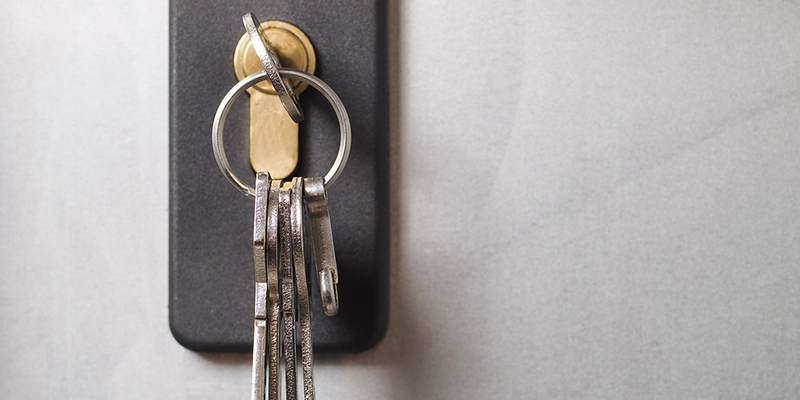 Key pins come in different sizes to correspond to the various depths cuts on the key. Driver pins (top pins) – These are the pins placed between the key pins and the springs. When in the resting position, the driver pins block the rotation of the plug. In more advanced pin tumbler systems, the driver pins may be sized to the inverse of the key pins to defend against decoding or comb pick attacks. Plug – The plug is the inner piece of the lock that rotates upon insertion and tension of the correct key. The plug is connected to the cam to actuate the bolt mechanism when rotated. Cylinder – The cylinder is the outer piece of the lock that houses the upper pin chambers and the plug. Driver pins and springs are trapped in the cylinder’s pin chambers when the correct key is used and the plug rotated. Cam – The cam is an extension connected to the back of the plug which actuates the bolt mechanism to lock or unlock the lock. Springs – The springs placed above the pin stacks push the pins down to their resting position to make sure they can’t be trapped above the shear line while the plug is in the default position. Pin tumblers are vulnerable to a wide variety of attacks. Most are vulnerable to a range of lockpicking techniques, pick guns, bump keys, comb picks, impressioning, decoding, bypass and destructive entry. However, many times this type of lock can be combined with other locking systems for added protection. Traditional dimple locks are functionally equivalent to pin-tumblers and are named for the cuts on the bitting area that resemble dimples. They appear more sophisticated than traditional pin tumbler locks. The plug rotates when dimples in the key are properly positioned to a number of pin tumbler stacks at the shear line. The only difference is in the orientation of the keyway and the location and style of the bitting cuts on the key blade. This type of lock design uses the flat side of the key blade as a bitting area. The keyway is set perpendicular to the pin stacks to allow the key to be inserted in any orientation. Traditional pin tumblers allow anywhere from six to twelve positions per pin, where dimple locks usually allow only two to six depths per pin. Modern dimple locks allow for pins to be positioned on all sides of the key, greatly increasing the number of pin positions available. This provides increased key control and master keying capabilities over traditional pin tumbler lock designs. Dimple locks are used in a wide variety of applications from low to high security. The more advanced systems incorporate high-security features such as key profiling, side pins, telescoping pins and axial rotation. Pick guns have limited effectiveness against dimple locks due to the poor range of motion allowed in the dimple keyway, however, this type of lock is still vulnerable to attacks from lock picking, key bumping, comb picks, impressioning, decoding and bypass attacks. This locking system is also often combined with another locking system to increase effectiveness from attacks. A tubular pin tumbler lock, also known as an Ace lock, circle pin tumbler lock or radial lock, is a type of pin tumbler lock in which six to eight pins are arranged in a circular pattern and the corresponding key is tubular or cylindrical in shape. They can be found on bicycle locks, computer locks, elevators, vending machines and coin-operated washing machines. They are generally considered by the general public to be safer and more resistant to picking than standard locks. These kinds of locks, however, can be picked with a special tubular lock pick or drilled with a hole saw drill bit. To prevent drilling, many of these locks have a middle pin made of hardened steel or contain a ball bearing in the middle pin. 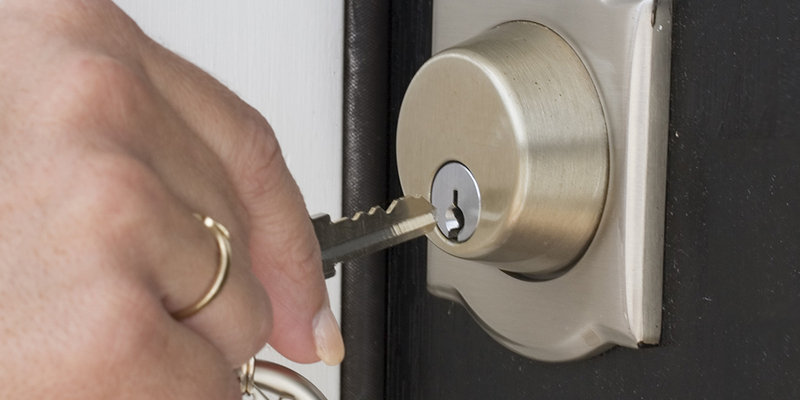 The security of locks can be compromised in a variety of ways depending on the type of lock, the manufacturer and model and the installation and maintenance of it. If you are considering a new lock, you may want to consult with an expert who can assist you in choosing the right system or combination of systems to address your specific needs and concerns.